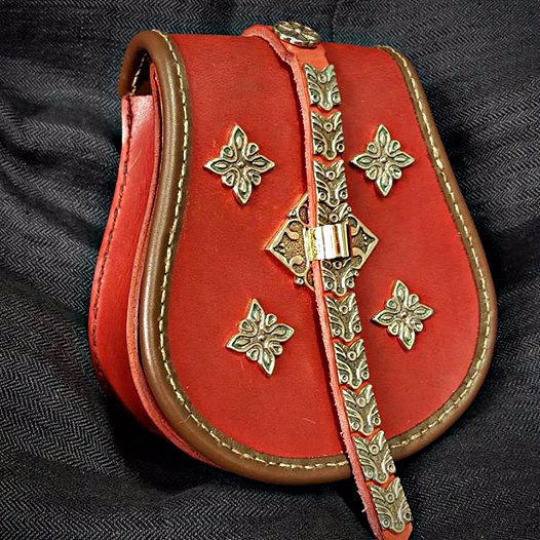 Presenting our Viking Age Cultural pouches (Rus in this case) Shestovitsa Chernigov Ukraine, the fittings themselves are authentic for the viking and early medieval time period, and fantastic for those interested in Rus and Slavic cultures, or for Reenactment. 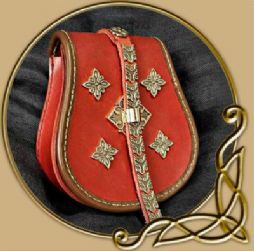 The pouch itself works on the simple design that the pouch is closed at the front by the Leather flap ornated with bronze work, which is sealed by the loop and leather strap which hangs down the front (This is how they believe the pouches were made in construction from archeological finds) and also, this is how they are commonly portrayed in the Reenactment scene world wide. 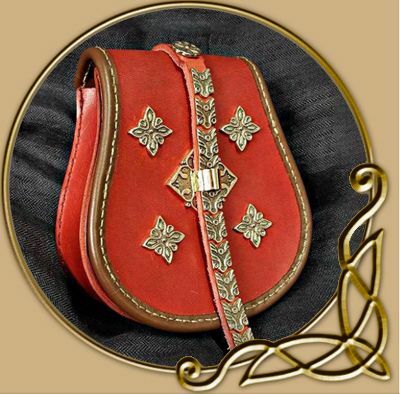 The beatiful fittings are masterfully forged and built by VikingAge Poland, one of the greatest smiths in the Reenactment scene.